In a recent segment on NBC 12 News, Dr. Zemmel was featured for his work with a married couple on their journey through gender reassignment surgery. Beginning at a young age, Nic and Ryan felt out of place in their female bodies. They first met in high school and have since been transitioning together into their true gender identities. Dr. Zemmel had the privilege of performing Ryan’s female to male top surgery. 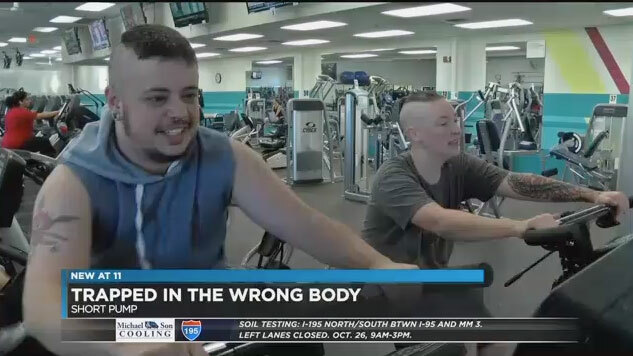 In the news segment, Dr. Zemmel discusses Ryan’s procedure, detailing the process of creating a more masculine chest by reducing and repositioning the breast tissue. Although Ryan is still recovering from his FTM top surgery, he reports that his new body allows him to be his true self for the first time, no longer having to “be an actor all the time.” Both Nic and Ryan say they feel happier and more confident as they continue to transition. If you have any questions about FTM top surgery and how Dr. Zemmel can help you on your journey, please contact us to schedule your consultation.